The System Surpasses 10,000 Downloads!!! So it seems that while I've been asses and elbows over the last few months with real-world client work, PDF downloads of my generic RPG The System surpassed 10,000 total downloads! 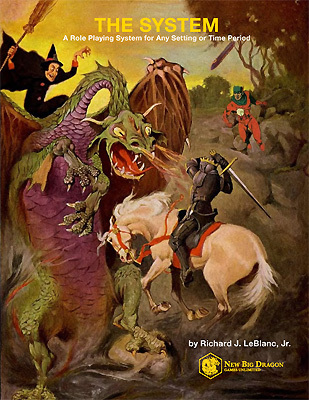 The System is the universal RPG that I originally wrote as a high-schooler in 1985, abandoned when I realized GURPS had hit the market, then finally resurrected when I discovered the OSR back in the early part of 2011 (though had yet to understand what a retro-clone was... which The System is definitely not). 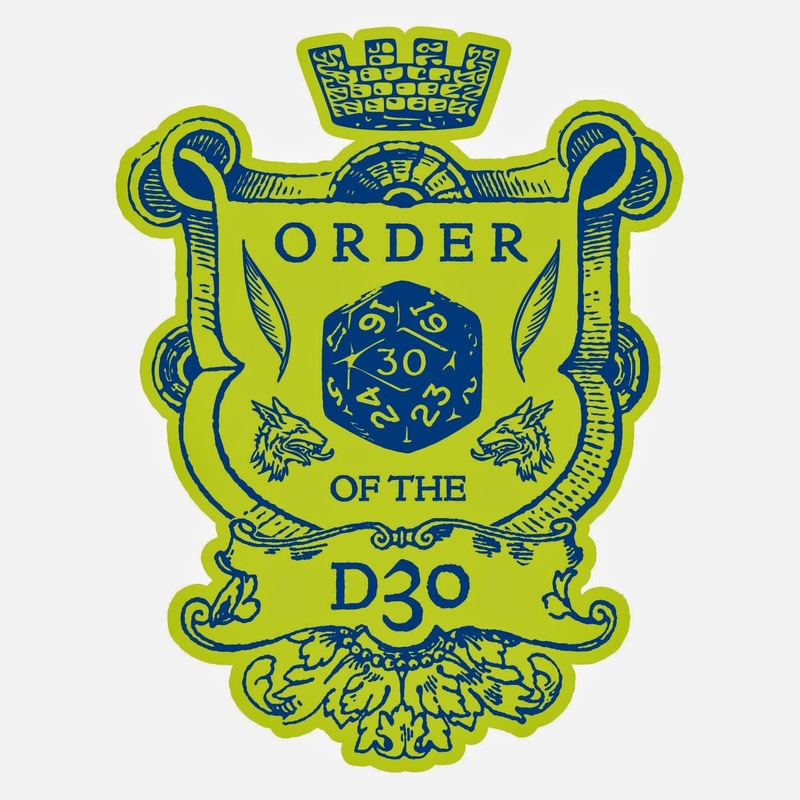 As a published RPG product, it predates the other things for which I'm known (including the d30 DM Companion, the otherwise first of my published products). It has been available as a free PDF download (direct from this link) and in print-on-demand from Lulu.com. If you've never heard of The System, here's the topline overview... I originally wrote/designed this in late 1985/early 1986 (when I was about 16 years old) before other universal role playing systems were available on the market. As I was getting ready to playtest it with my friends, a guy in our gaming group brought in a copy of the (then) newly-released GURPS, and I shelved my system in the disappointment that comes with having someone beat you to the punch. 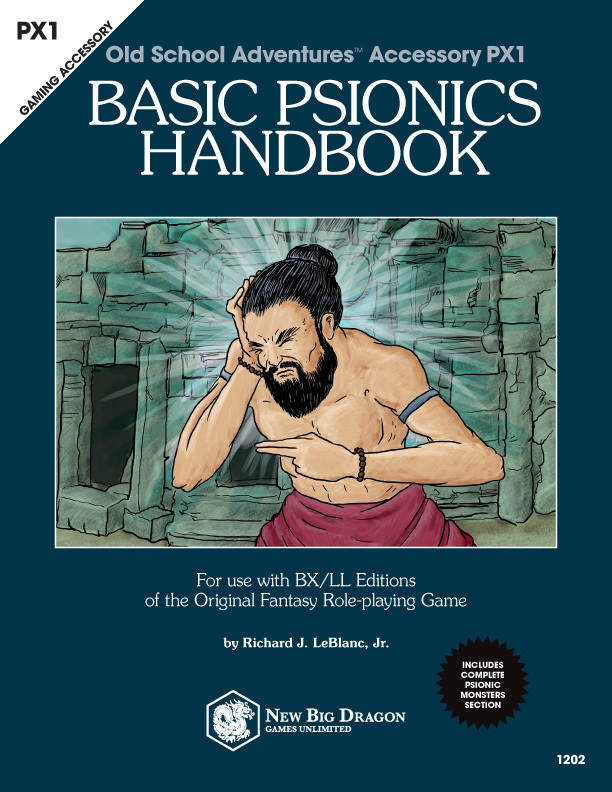 In 2011, I "rescued the from oblivion" (that is, I scanned the old daisy-wheel printed version that came from my dad's word processor at work), gave it a (very) quick polish to the ruleset, and typeset it with a decidedly retro (1st generation) RPG feel to it.  To buy a deeply-discounted print copy of The System from Lulu.com, head over here.